mama elephant | design blog: Challenge Winners! Happy New Year's eve, everyone!!! It's been such a thrilling year for us and we are so happy to end it with a bang! It goes without saying, we are truly thankful for all our friends, family, and supportive fans and customers for making all of this magic happen. Your comments, emails, and messages are invaluable to us. We want you to know that our doors are always open and we continue to welcome any feedback to improve! We have so many things coming up for 2013, so many big goals, so many wonderful new designs, so many new adventures! So, don't blink! We wish you the very best in the coming year! Cheers, everyone! She created two amazing entries for the challenge. We also love the tag Leigh created using Trifecta. I love that she stamped the red triangles to create a base line. Beautiful, simple, and gorgeous! Congratulations again, Leigh! You also win a spot as an upcoming guest designer!!! Before we go, we thought we'd highlight some of our faves! Love this beauty by Samantha Mann. She used our Midnight Letters and stamped directly on top of glitter. How cool is that?! Amy Kolling never disappoints with her fun designs! 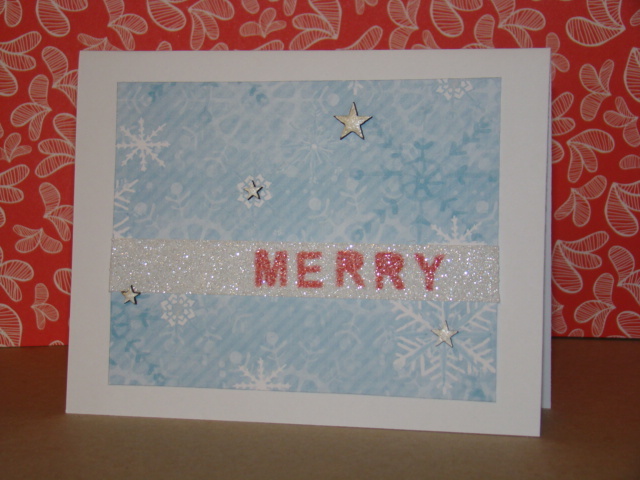 We love all the textures she created on this card using We Click. Check out this super cool card by Stephanie Severin!! She used so many of our smaller stamps from Good Times, We Click, Geotagged! 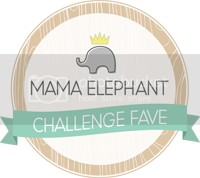 Winner/Faves - you may proudly display your badge on your blog! Thank you all for playing along!! It was so much fun for us! Before I go, I have one more winner to announce. Our random winner who will receive a $15 gift certificate is...... Debbie Gaydos!!! Leigh and Debbie, please contact us to claim your prizes! Go Leigh! Can't wait to see what's in store with the next release! Happy new year! Congratulations Leigh!! I can't believe I was a fav with all of those other entries!!!! Wow!!! LOVE mama elephant!! Can wait for the new releases! Thanks again! And congratulations to everyone! Oh, this has ended my year on such a fabulous note! Thanks so much!! Congratulations to Samantha & Debbie! Thank you Mama Elephant for sharing my card!!! Happy New Year! Congrats to the winners! Great job everyone! تخلص من الرطوبة - راقب الأنابيب المتسربة ، أو أي مكان يوجد به خشب رطب. أغلق النوافذ والأبواب - عندما يخرج أسراب النمل الأبيض ، يمكنهم الدخول من خلال النوافذ والأبواب المكسورة بالكسر والفتحات. ختم تلك الأماكن.